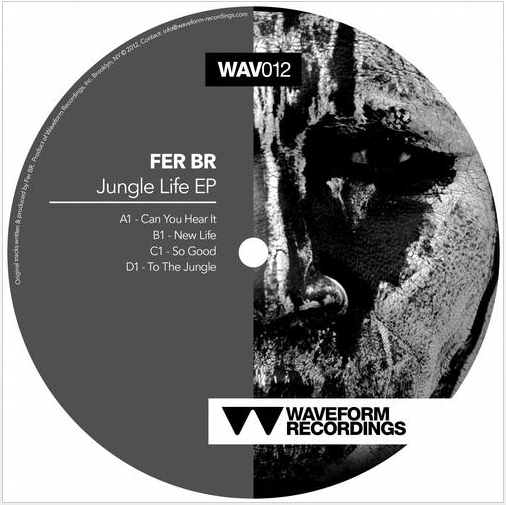 We said back in December that we were excited to hear new music from this young and very talented Spanish producer Fer BR and we are not disappointed! He returns with a very solid 4 track E.P on Victor Calderone‘s Waveform Recordings. Even in this short space of time you can hear his sound progressing and he is carving out a sound that in our opinion stands up against some of the most respected producers in Techno. You can hear his attention to detail and he creates a great atmosphere and groove throughout the tracks. We chose the lead track from the E.P titled ‘Can You Heat It” to feature today. You can check it out below but make sure to check the rest of the E.P as the standard is very high throughout all the tracks! As always please support the artists and share the music! Arjun Vagale delivers yet another BOMB! We first posted about Arjun last month after his track “Lets Go” really caught our attention. This remix for Victor Calderone on his label Waveform Recordings follows on from “Lets Go” perfectly. The track has a constant pulsing low end that would really work a crowd into a frenzy and the groove is very tight. All of the elements in the track just sit in the right place working together to produce a very solid slice of peak time techno. We are not surprised Victor employed Arjun’s remix skills for the latest release on his label. The label has had some very solid releases this year including a huge remix from NOYZ favourites The Junkies. The track that Arjun has remixed is actually an original track by the label boss himself and is a huge track in its own right which you can check out here. The package will be available on Beatport on December 18th. Check out Arjun’s remix below. We are looking forward to interviewing Arjun soon and can’t wait to hear what he has planned for the future. Of course we hope it involves plenty more tracks of this calibre! As always please support the artists and labels!